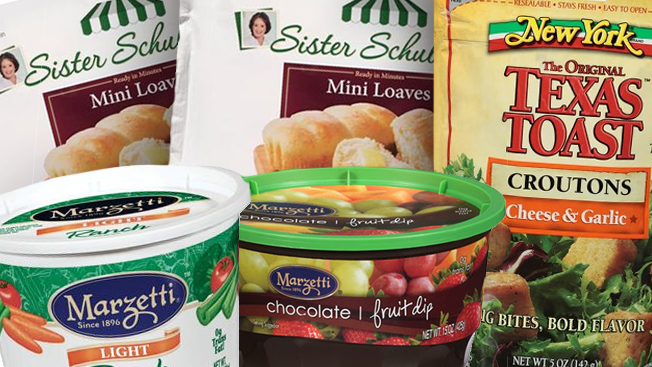 Past relationships sparked the first conversations between Lowe Profero and T. Marzetti Co., a packaged-foods player with some 18 brands. But it was the shop's ideas for changing Marzetti's marketing model that prompted the company to consolidate all of its marketing business at the agency. Lowe Profero, the digital arm of Interpublic Group's Lowe & Partners, will create ads, develop online content, manage social media efforts, lead public relations initiatives, and plan and buy media. Total account revenue is estimated at $3 million. Previously, Marzetti's creative, media and PR business was divided among three agencies: Smith Brothers, Empower MediaMarketing and Edelman. But that's when the company pursued a traditional advertising model for brands like Sister Shubert's, New York and Marzetti. Under Lowe Profero, Marzetti will try to morph into an online publisher that reaches consumers via search engine marketing and yes, some print and radio ads. The company will center most of its efforts online. "I see a lot of brands still pushing their message out—whatever is important to them, they want to try to get it out," said Bob Holtcamp, vp of brand management at Marzetti in Columbus, Ohio. "We're trying to connect with consumers against some of the pain points they have around mealtime, around feeding their family. "We want to become a solution for the things that are important to them," Holtcamp added. "And we're not only building our marketing communication around that, we're going to be building our product line against that as well. So, we're looking at every product that we have right now and determining, is it set up perfectly as a solution for mom?" Holtcamp joined Marzetti in July 2013 after several years at Wendy's, where he was svp of brand marketing and first met Aaron Reitkofp, Lowe Profero's CEO for the Americas. At the time, Reitkofp was CEO of Kirshenbaum Bond + Partners, then a key roster shop for Wendy's. Reitkofp also knows Rozetti's Joe Tuza from his years at Del Monte Foods, another account Reitkopf helped manage at Kirshenbaum Bond. Tuza is now svp of retail marketing, sales and innovation at Marzetti. So, there was a certain comfort level when Reitkopf first started talking to Marzetti about its marketing toward the end of last year. Those conversations led to a pitch against Smith Brothers that focused on how the shift to publishing would work. The pitch was as much about operations as it was about brand strategy. "We're trying to create a content machine," said Reitkopf, who added that it could take the form of everything from recipes and blog posts to videos. "So, build the house, the foundation of it—in digital, social and content, and [in] above-the-line [ads]. Have it drive to that stuff."